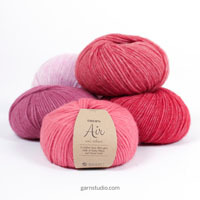 DROPS CIRCULAR NEEDLE (80 cm) SIZE 4 mm - or size needed to get 21 sts x 28 rows in stocking st = 10 x 10 cm. SIZE S/M: 7, 14, 21, 28, 35 and 42 cm. SIZE L/XL: 8, 15, 22, 29, 36 and 43 cm. SIZE XXL/XXXL: 9, 16, 23, 30, 37 and 44 cm. 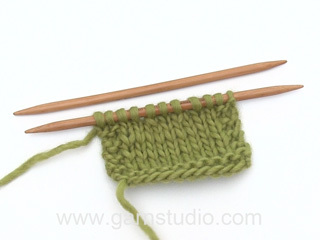 Cast on 254-309-360 sts (incl 6 band sts in each side towards mid front) on circular needle size 4 mm with Lima. K 5 rows (1st row = WS). Then work as follows (seen from RS): 6 band sts in GARTER ST – see explanation above, [* P 2, K 2 in each of the next 2 sts (= K 4), P 2 *, repeat from *-* 2 more times, P 14-13-12], repeat from [-] 6-8-10 more times, then from *-* 3 more times and 6 band sts in garter st = 302-369-432 sts. Work K over K and P over P and band sts in garter st. Continue as follows (seen from from RS): 6 sts in garter st, [diagram A-1 (= 24 sts), P 14-13-12], repeat from [-] 6-8-10 more times, A-1 and 6 sts in garter st. Insert a marker after 75-92-108 sts in from each side (= 152-185-216 sts between markers on back piece). REMEMBER THE KNITTING TENSION! When piece measures approx. 5-7-9 cm (adjust so that next row is worked from RS), dec 1 st in every P-section by P the first 2 sts tog (i.e. dec 7-9-11 sts on row). Repeat dec every 6th row 11-10-9 more times – NOTE: Dec alternately at the end and beg of every P-section. AT THE SAME TIME when piece measures 7-8-9 cm, cast off for BUTTONHOLES - see explanation above. After all dec in P-sections, 218-270-322 sts remain on needle and only 2 P sts between every A-1 (piece now measures approx. 29 cm). Continue until piece measures approx. 33-35-36 cm (adjust so that next row is worked from RS), now inc 1 st in every P-section by making 1 YO after last P st in every P-section, on next row (from WS) K YOs twisted to avoid holes. Repeat inc every 6th row 3-2-2 more times – NOTE: Inc alternately before and after all P sts by making 1 YO. When all inc are done, there are 6-5-5 P sts in every P-section and 246-297-355 sts in total on needle. When piece measures 41-42-43 cm, inc 1 st in each side towards mid front for collar - SEE INCREASE TIP. Repeat inc every other row 11 more times and then every 4th row 6 times = 18 sts inc for collar and 24 sts in garter st in total. At the same time, 2 cm after beg inc for collar, dec 1 st in each side for neck - SEE DECREASE TIP. Repeat dec every other row 5 more times and then every 4th row 6 times (i.e. half of A-1 in each side has been dec, continue with K 2 in the middle of diagram where there used to be a cable over 4 sts). At the same time when piece measures approx. 51-52-53 cm (adjust so that next row is worked from RS), cast off for armholes as follows: Size S/M and L/XL: Cast off 6 sts in the side (i.e. 3 sts on each side of markers in the sides). SIZE XXL/XXXL: Cast off 7 sts in the side, i.e. the 5 P sts where marker is + 1 st on each side of these. Finish each part separately. Then cast off for armhole at beg of every row from the side: 3 sts 0-1-3 times, 2 sts 3-3-4 times and 1 st 5-4-6 times. 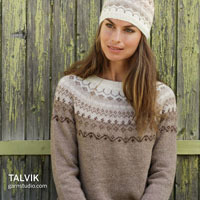 After all cast offs for armhole, dec for neck and inc for collar, 55-66-70 sts remain on shoulder. 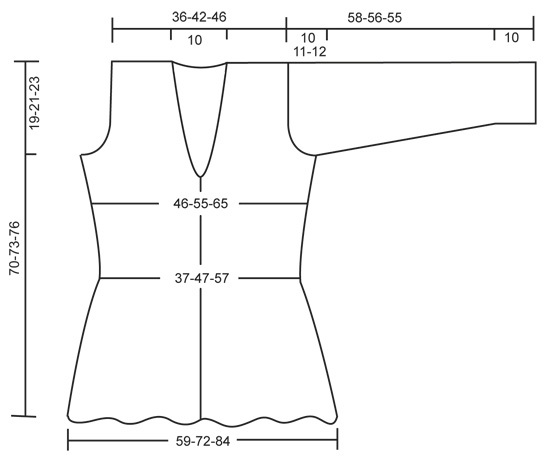 There is now ½ repetition of A-1 towards the neck before collar in all sizes, there is also ½ repetition towards the armhole in the smallest size. 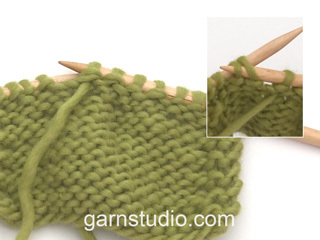 Continue the pattern as before with 1 edge st in garter st towards armhole. When piece measures approx. 70-73-76 cm, adjust after one whole or half repetition of A-1 vertically, dec 3 sts evenly over the half repetitions and 6 sts evenly over the whole ones (i.e. dec 6-9-9 sts in total) = 49-57-61 sts. On next row from RS, cast off the first 25-33-37 sts for shoulder, K the last 24 sts in garter st. Then work back and forth in garter st over these sts for collar as follows: * 2 rows over all sts, 2 rows over only the outermost 18 sts (towards mid front) *, repeat from *-* until collar measures approx. 5½ cm at the inside on the most narrow part, cast off. Work as left front piece but reversed. After sts for shoulder have been cast off (from RS so that same no of rows have been worked on both front pieces), cut the thread at the end of row. = 114-139-167 sts. 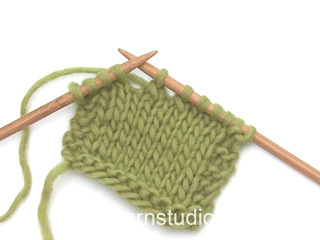 Continue to cast off for armholes at beg of every row in each side as on front piece = 92-113-121 sts. 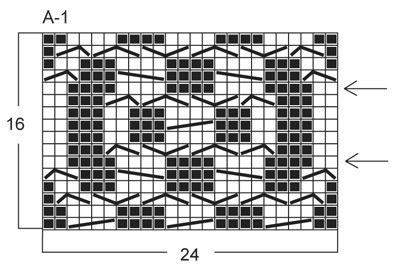 Continue the pattern with 1 edge st in garter st in each side. When piece measures approx. 68-71-74 cm (adjust so that last row worked is 1 of the rows marked with 1 arrow in diagram), then on next row (= RS), cast off the middle 24-23-23 sts for neck, work the rest of row, finish each shoulder separately in pattern. LEFT SHOULDER: Work 1 row from WS, cast off 2 sts at beg of next row (= towards neck) = 32-43-47 sts. K 1 row from WS. On next row (= RS), dec 3 sts evenly over the half repetitions of A-1 and 6 sts evenly over the whole repetitions of A-1 (i.e. dec 6-9-9 sts in total) = 26-34-38 sts. Cast off on next row (= WS). Beg mid back, i.e. from WS, cast off 2 sts at beg of row (= 32-43-47 sts remain on shoulder). Work 1 row from RS and 1 row from WS. On next row (= RS), dec 3 sts evenly over the half repetitions of A-1 and 6 sts evenly over the whole repetitions of A-1 (i.e. dec 6-9-9 sts in total) = 26-34-38 sts. Cast off on next row (= WS). 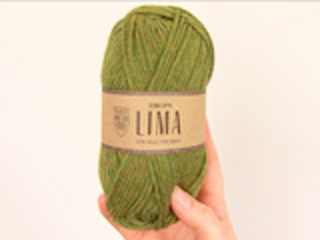 Cast on 22 sts on needle size 4 mm with Lima. K 1 row from WS. Work next row as follows: 1 st in GARTER ST – see explanation above, * P 2, K 2 in each of the next 2 sts (= K 4), P 2 *, repeat from *-* 2 more times, finish with 3 sts in garter st = 28 sts. Work 1 row from WS with K over K and P over P with 1 st in garter st in one side and 3 sts in garter st in the other side. Continue with A-1 until 4-4-5 repetitions have been worked vertically, then work the first 2 rows in A-1 one more time (piece measures approx. 24-24-30 cm). Work next row as follows (= RS): 1 st in garter st, * P 2, K 2 tog, K 2 tog, P 2 *, repeat from *-* 2 more times, finish with 3 sts in garter st = 22 sts. K 1 row from WS over all sts, then cast off. Edge is approx. 10 cm wide, continue with sleeve. Worked back and forth on circular needle size 4 mm. 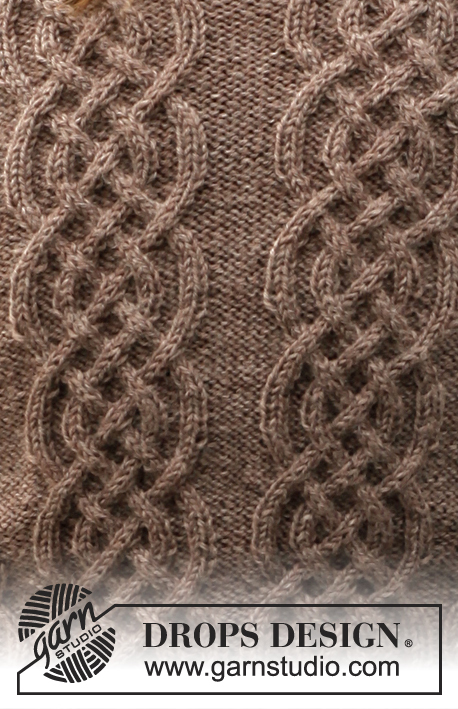 Knit up along the edge where there is only 1 garter st - knit up 1 st in every ridge (= 2 K rows). K 1 row from WS while at the same time adjusting no of sts to 52-54-62. Then K 1 row from RS, the continue in reverse stocking st. When piece measures 15 cm in total, inc 1 st in each side. Repeat inc every 3-2-2 cm 10-13-13 more times = 74-82-90 sts. When piece measures 48-45-43 cm (shorter measurements in the larger sizes because of longer sleeve cap and broader shoulder width), cast off for sleeve cap at beg of every row in each side: 4 sts 1 time, 2 sts 3 times and 1 st 6-7-9 times, then cast off 2 sts in each side until piece measures 57-55-54 cm, now cast off 3 sts 1 time in each side. Cast off the remaining sts, piece measures approx. 58-56-55 cm. Sew collar tog mid back and sew it on to neck line inside 1 edge st. Sew sleeve seams – sew cuff edge to edge (cast on edge against cast off edge) to avoid a chunky seam, sew the rest of sleeve inside 1 edge st. Sew sleeves in body and sew on buttons.